We Make Every Visit Fun! 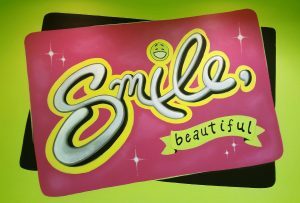 Welcome to Charleston Smiles, A Place Your Children Will Love! Thanks for stopping by our website. We look forward to welcoming you and your child to our office! 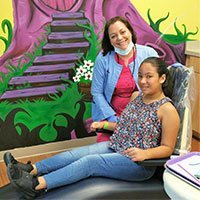 We cater to parents looking for a dentist to care for their small child or teen. We provide general dental care, oral hygiene and nutrition counseling. Pediatric Dentistry is a division of dentistry dealing with children from birth to adolescence. Our dental team is especially trained to give your child a better dental experience. Many times, it can be a struggle convincing young children to go to the dentist for a first visit. 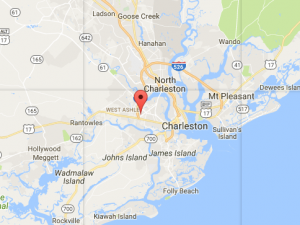 Once your child enters the front door of Charleston Smiles, they will quickly be at ease with all the games and toys waiting to greet them in our office. As they get to know us, they will realize that our dental office is a fun and secure place to visit, so they will look forward to coming back to see us and the next appointment will definitely be a breeze. 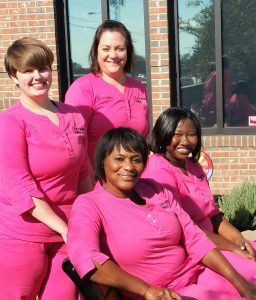 We strive to make every dental visit as comfortable and fun as possible. From the doorstep to the dental chair, our office offers a one-of-a-kind environment. 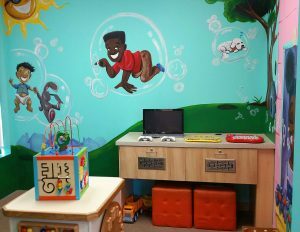 Your children will be excited to see all the fun pictures and murals painted on the walls. Before you know it, their dental cleaning or extraction has already been successfully done. Dr. Patterson loves taking care of children’s dental health. She is your most reliable partner in ensuring that your children’s oral cavity will remain healthy until they learn how to properly take care of their teeth independently.